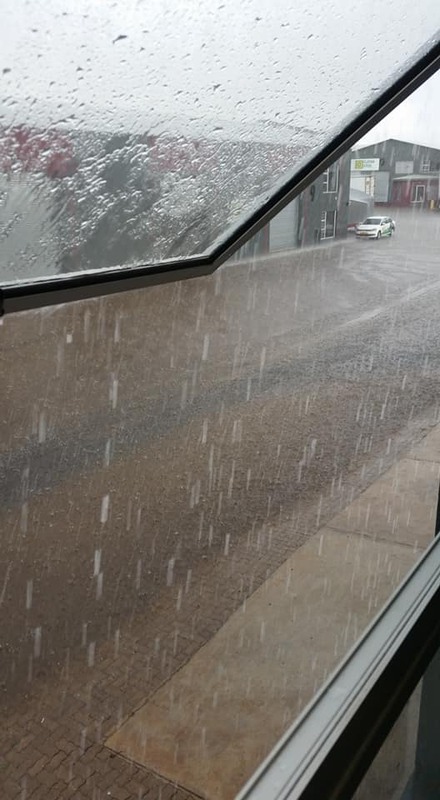 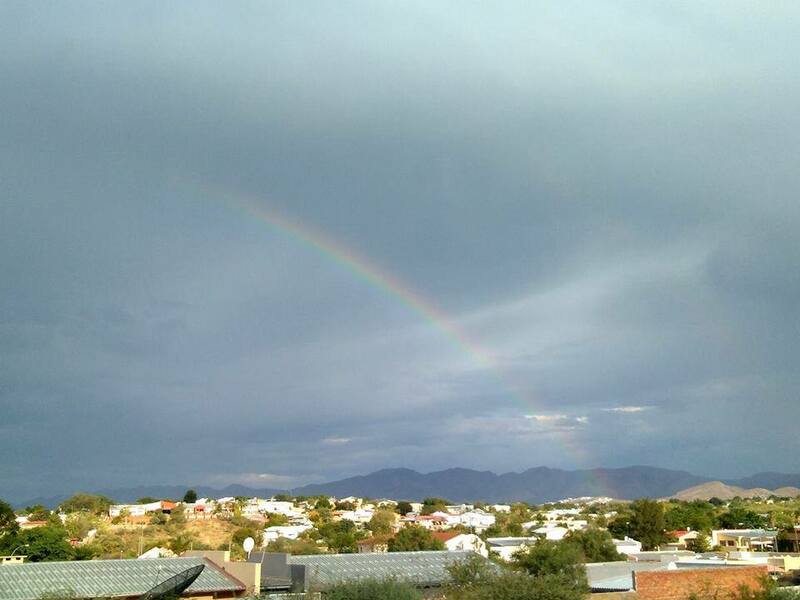 Pictured: Welcome rains that fell over Windhoek and Otjiwarongo on Wednesday. 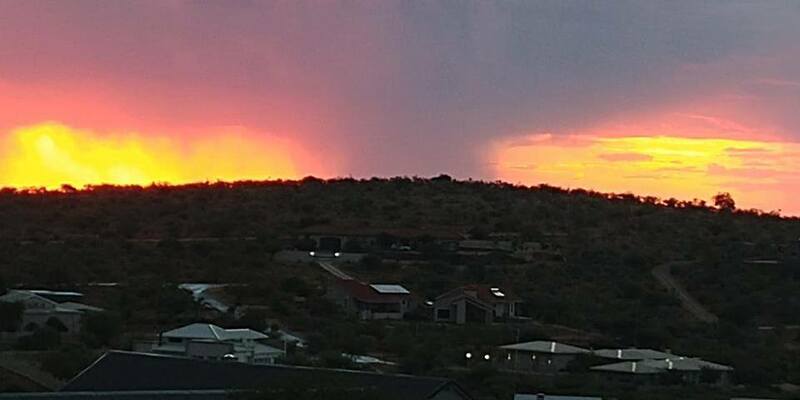 Photos: Different people who posted on the Reën in Namibia Facebook page. 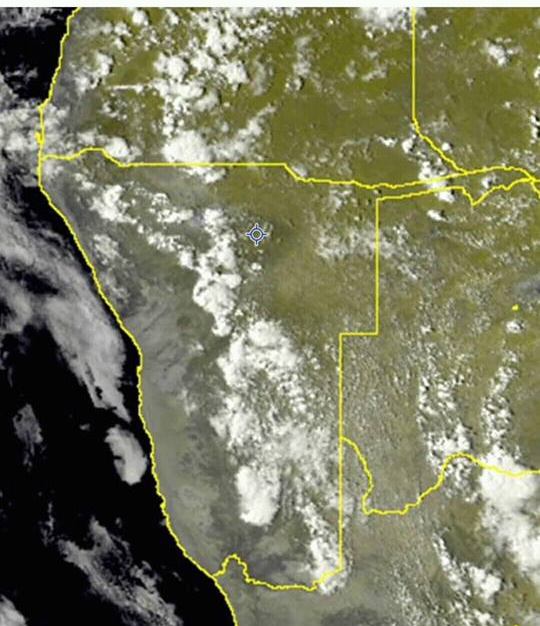 The satellite picture shows the cloud formation on Wednesday morning over the central parts of Namibia that flowed down from Angola . 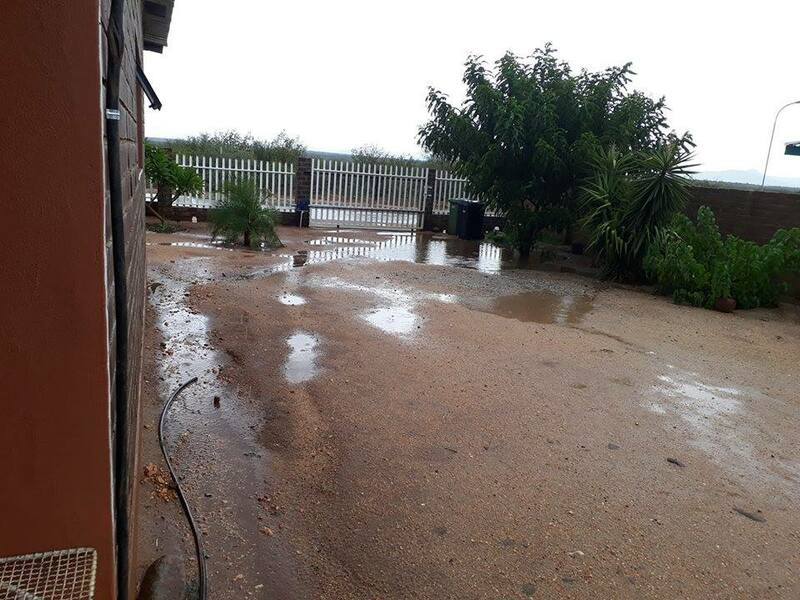 SEVERAL towns from north to south down the centre of Namibia received welcome rains over the past 24 hours. 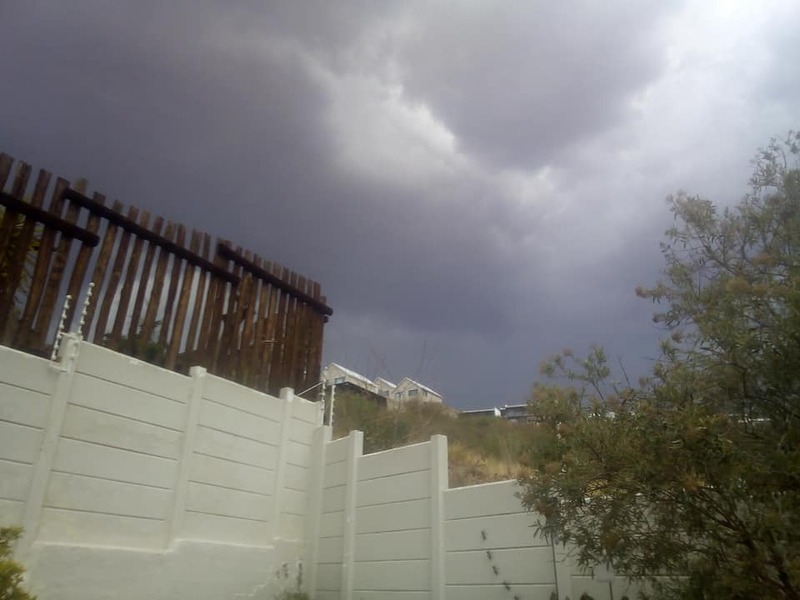 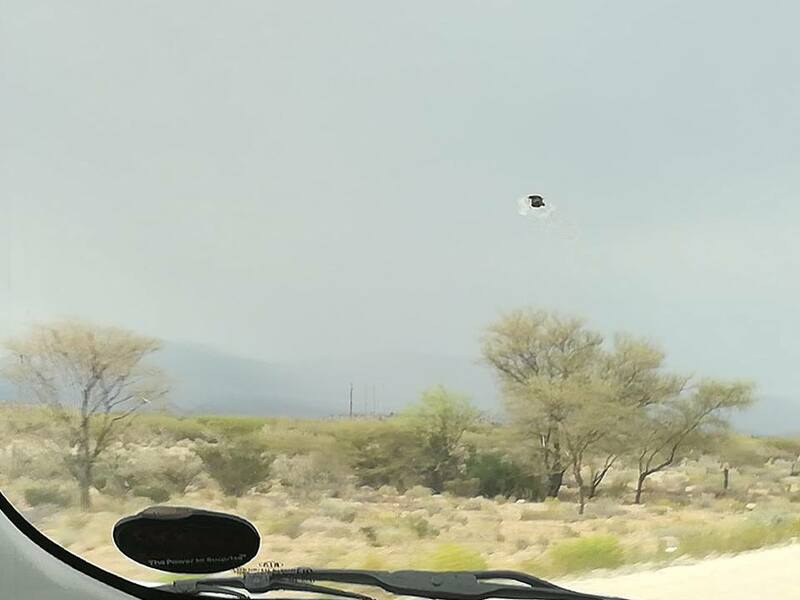 On Wednesday afternoon thundershowers were reported from Otjiwarongo in central northern region of the country, Windhoek in central Namibia and even Keetmanshoop and Noordoewer in the south. 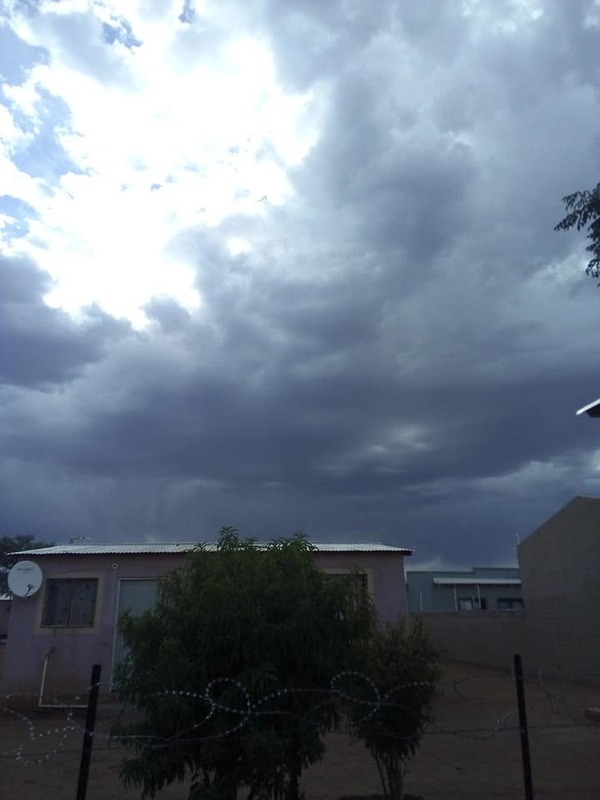 On Tuesday good rains fell near Grootfontein, between Otavi and Outjo as well as Karibib. 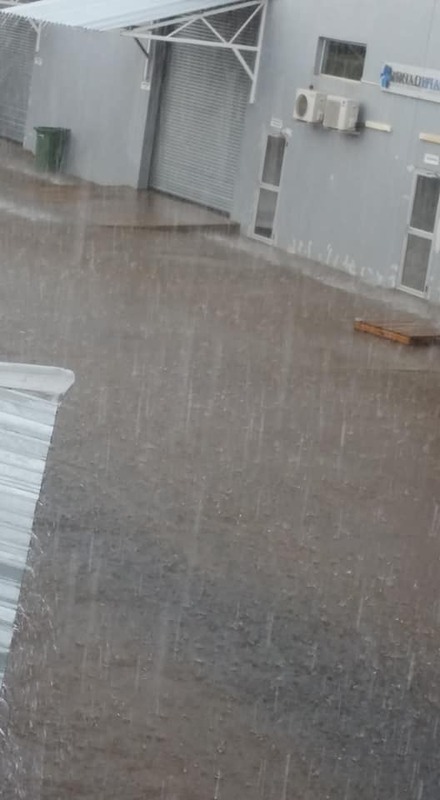 Although not official, residents of the different towns and the capital city reported measurements of up to 31 millimetres in Otjiwarongo and in Windhoek people indicated that up to 15 millimetres fell over certain parts of the city and outlying residential areas such as Elisenheim. 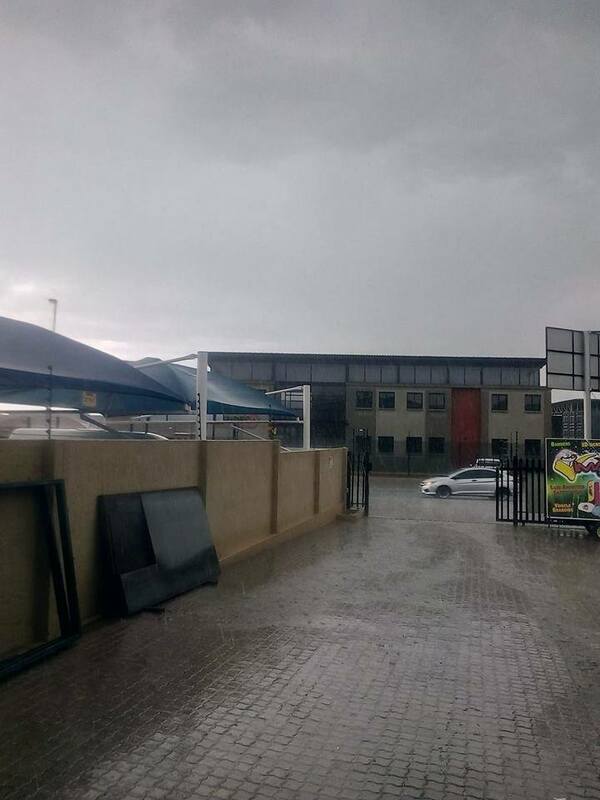 According to different weather websites, the current weather system over the southern part of Africa is conducive for good rains over the next few days. 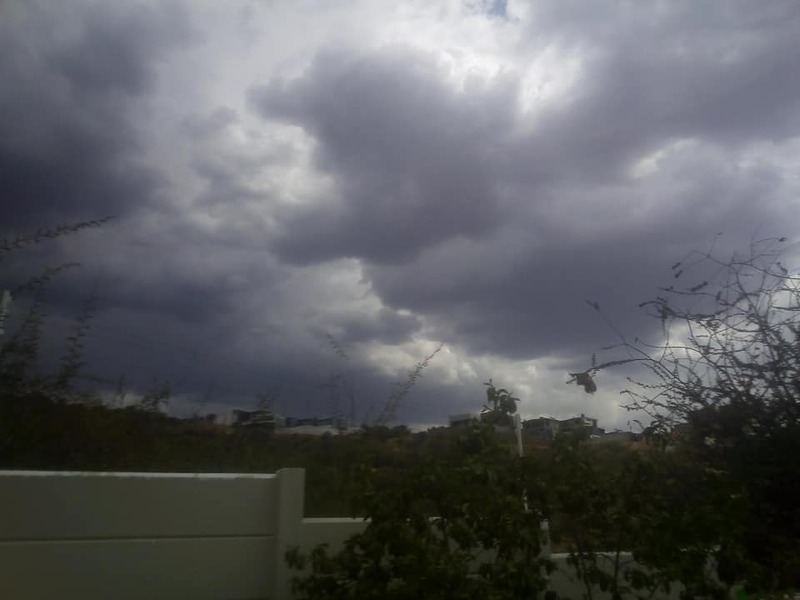 The low pressure system over Namibia and the Northern Cape on the western side of the sub continent combined with tropical high pressure systems over the Indian Ocean on the eastern side and south of the equator to the north will draw humid air over the country which could lead to some rain. 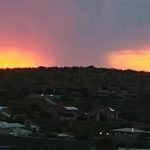 The meteorological risa.com predicts sunny and very warm weather for Western Namibia while extremely hot conditions and thundershowers are predicted for the rest of the country. 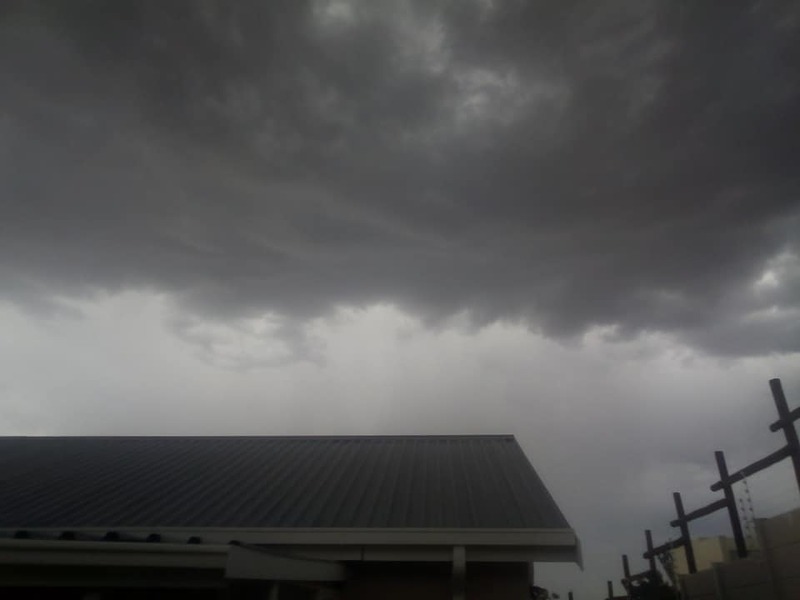 Strong winds are predicted for the central and southern areas of the country while the coast can expect misty weather in the morning that will clear up towards the afternoon.